Keeping Up With The Souths: Fourteen. You know how everyone has a "number", well that number for me is 14. I'm not really sure when it all started but from my freshman year on through my senior year in high school, fourteen was my number. At least it was for basketball and softball & it's what made it on my letterman's jacket too. To this day I still use it & it never fails that when I see the number, my high school athletics career comes flooding back. I know, kind of dorky--like move on already, everyone played in high school and you'd be mostly right. However, mine was different. Sports played such a big role in who I am today. It taught me how to be a team player and learn to count on others. It taught me how to lead and not just by my words but through my actions as well. I learned to accept that there will always be someone better than me but that didn't mean I could slack & just not give my all. It actually meant I would have to work for it that much harder, if I wanted it. It taught me toughness and I learned to compete. I'm still competitive. Like, annoyingly competitive but I can't help it--it's just in my blood. If you ask me about high school, a sports story is what you will get. I couldn't tell you what book we did our 10 grade English project over -- I don't even know if that was a thing. I couldn't tell you what my senior classes consisted of except for late arrival and study hall. I finished in the top 10% of my class, #4 out of 52 (yes, I graduated with only 52--it was a SMALL school but I LOVED IT) so it wasn't like I slacked when it came to my education, it's just my heart always belonged to the court. Papa Tom, my dad, coached me when I was little. We started playing basketball around the third grade and for 4 years he coached not only our school team but also our traveling team -- yup, I was that girl. But I loved it. For the most part. As I got older and entered junior high he retreated to the stands and became my number one fan, right alongside my mom. Even though there was a new coach in charge that didn't stop him from giving his advice & pointers -- most of which I didn't really want to hear but only because I knew he was right. My sports career didn't go beyond high school. If I'm honest with myself, that was a mistake but at the time, I was tired. I was following a boy to school and a lot of freedom was awaiting me. I absolutely could have played but probably not where I was looking to go -- or at least for a full scholarship so I said goodbye. Goodbye to my sports career or at least I thought I did. Then I had kids. Boys. Two of them. Both with the gift of athleticism. 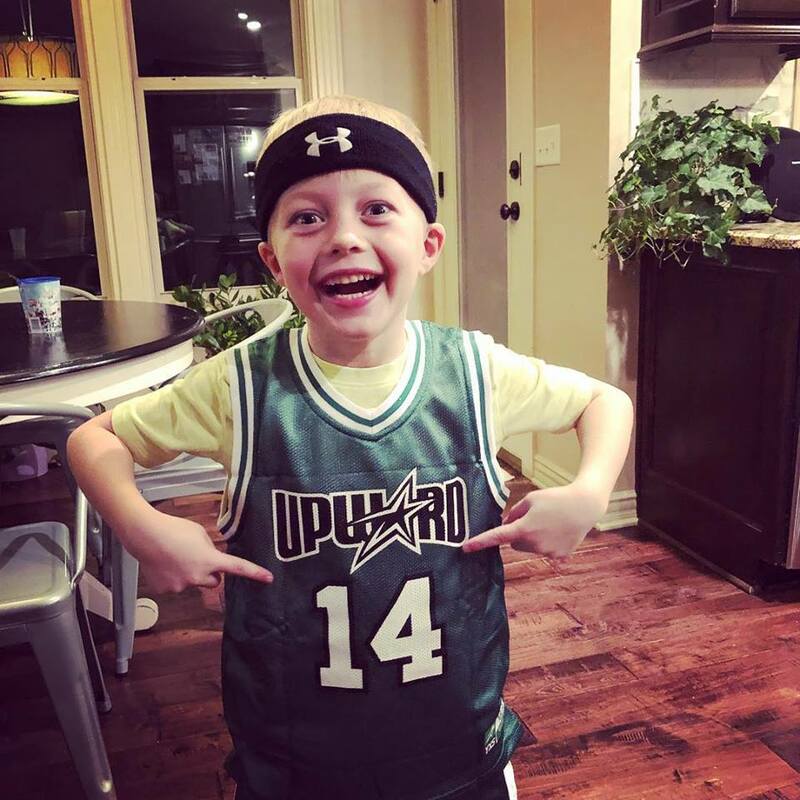 And here they are 8 1/2 and 6 1/2 and already in their second year of basketball (dude, it starts way tooooo early now for kids but that's a whole other post) and our youngest walked through the door the other night with his first "uniform" proudly sporting 14. 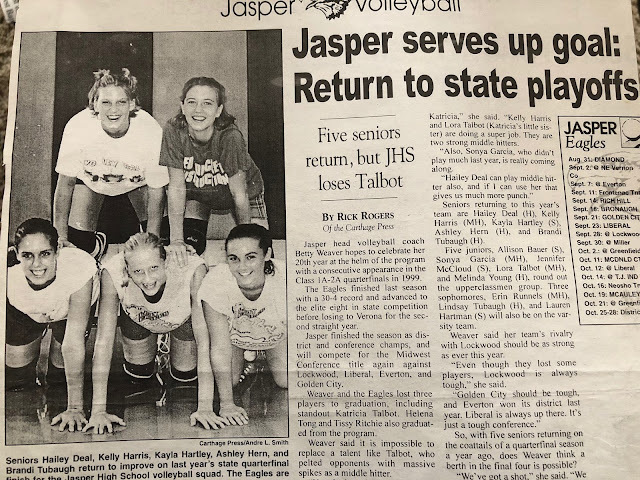 We had just talked earlier in that evening about how their momma wore #14 when she played and wouldn't it be cool if one of them got to be number 14 too. It was by complete chance that he got my number. Or was it? Maybe it was always meant to be. Maybe the love for the game that I have always had wasn't ever about me. Maybe it was preparing me for my greatest role of all, their number one fan.